When it comes to finding the perfect employees, often times it can be challenging and a huge letdown when you discover that the employee you recently hired is not up to par were committed to the actual job they applied for. That is why the Trinity employment may specialist will help you not only find the perfect employee but also one that is committed and dedicated to their job. When you are searching for Tulsa medical staffing you can be guaranteed that the Trinity employment specialist will be able to help assist you find the perfect employees that you are searching for. From medical, finance, to industrial jobs, the Trinity specialist will be able to help you and be able to find the perfect match. They make the hiring process much easier for yourself as well as employees searching for that perfect job that fits their career. When it comes to the tulsa medical staffing, the medical industry can be overwhelming for any new employee that is why the Trinity specialist will be able to not only help you find the perfect employee, but also help the employee find their perfect job. You will be guaranteed to be connected with qualified people and if you are searching for the job you will be able to be confident that the Trinity specialist works with you to find the right career the fifth perfect for you. The Trinity employment specialist also have paired up with the Oklahoma Baptist children’s home in which they created a giveback program. For every job placed, Trinity will donate to the Oklahoma Baptist children’s home. This allows a sense of community providing clothing and food to children and young adults and it also buys housing and life skills for these young people. You will be confident that working with the Trinity employment and also tulsa medical staffing specialists to find the right career to give back and to assist your every job need. You will be confident with the Trinity specialist who want to work with you and find what best fits you as well as find top talent to fit the job you are wanting to fill. You can learn more with the Trinity specialist who provide sample resumes, cover letters, and think you letters. They also provide current openings as well as informational podcasts that can help you develop a better understanding of the career field that you are applying for. Head over to https://trinityemployment.com today to learn more about the different programs and opportunities that the Trinity employment staff provides for you. You can also call 918-622-2588 to have any questions answered about what we do and how we can help you. We look forward to hearing for you and helping provide you with the top talent and find you a great job! Can see that you will be satisfied with the results after teaming up with our specialist. When it comes to finding the perfect Tulsa medical staffing, look no further than what the Trinity employment specialist. We provide you with not only a great job that fits your career needs, but also if you are searching for that perfect employment with the top talent. With proven success time and time again, the Trinity employment specialist know exactly how to weed out top talent who are committed to a job versus employees who just want the next paycheck. You can break it to you and that the stress will be taken off when trying to find the perfect Tulsa medical staffing employees to fate your job needs. You’ll be confident with the specialists who choose only the best candidates to fit the needs of your medical industry programs. We are confident that you will be satisfied with the results of what the specialist can provide for you. The specialist with the Trinity employment will help you find top talent or a great job. They are also partnered with the Oklahoma Baptist children’s home in which every time a staff is employed they support a child. Working together to feed” the children and young adults and also provide housing and life skills for these young people. They are committed to helping the Tulsa area community and get back to those children who are the future. The truly to helping children today can provide a brighter future tomorrow. That is why they are so committed to only helping you find a perfect job but also providing skill sets for the young who will soon be in the job field in the near future. The specialists with the Trinity employment are committed to helping employers find top talent who want to seek jobs and are committed to getting the job done quality service. They want to also help you learn and provide you with the skills it takes to find the right career and Excel if not particular career. The medical to finance and even industrial jobs, the Trinity employment specialist provides you with the hands-on knowledge and skills that it takes to win that perfect job or to find out top talent employee. 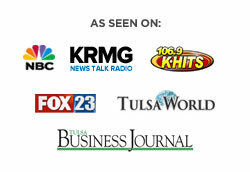 Head over to https://trinityemployment.com today to learn more about the different job openings provided as well as learn from podcasts giving informational knowledge about Tulsa medical staffing opportunities. You will also learn more about how to write a resume, cover letter, and thank you letter with many examples provided on the website. You can also call us today at 918-622-2588 to provide you with more information or answer any questions you may have. We guarantee that you will find a career that fits you, or a top talent employee that fits the job you are wishing to fufiil. We want to help provide to you with the best and I hope you received the best employees or the best job.